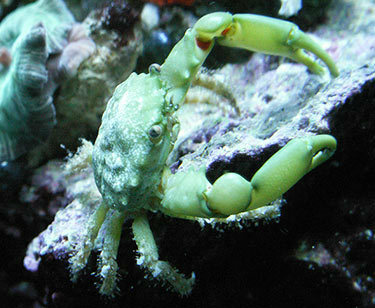 Emerald Crabs (Mithraculus scuptus) are a very interesting addition to a saltwater tank. They do however have their quirks and it is best to be cautious when adding them. Each one has its own personality some are very outgoing and have no problems being front and center in the tank while others will hide and make you think they have disappeared. Some will also be more aggressive than others. Extra Large Emerald Crab from Fish Fish Fish on Vimeo. Where is the Emerald Crab Found? 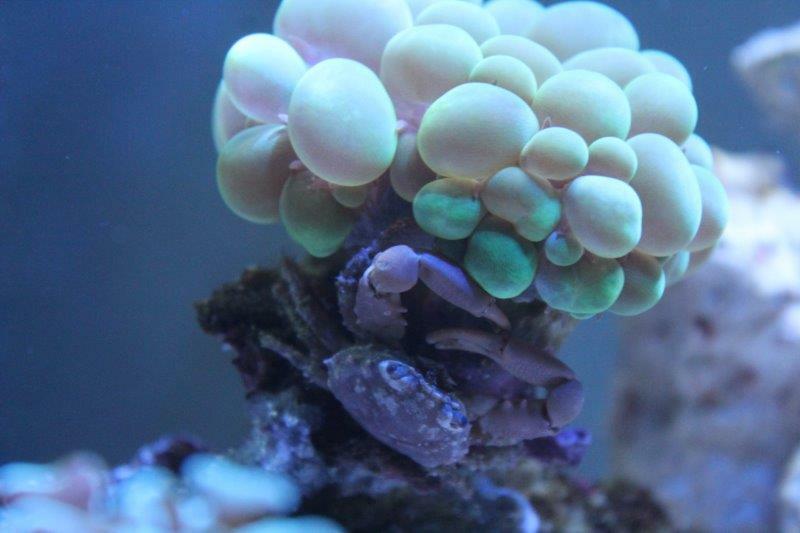 Are Emerald Crab reef safe? What do Emerald Crabs eat? How do Emerald Crabs reproduce? What are some good Tank Mates for the Emerald Crab? What is the Lifespan of an Emerald Crab? What Tank size is recommended for the Emerald Crab? Are Emerald Crabs reef safe? What type of behavior can you expect from an Emerald Crab? 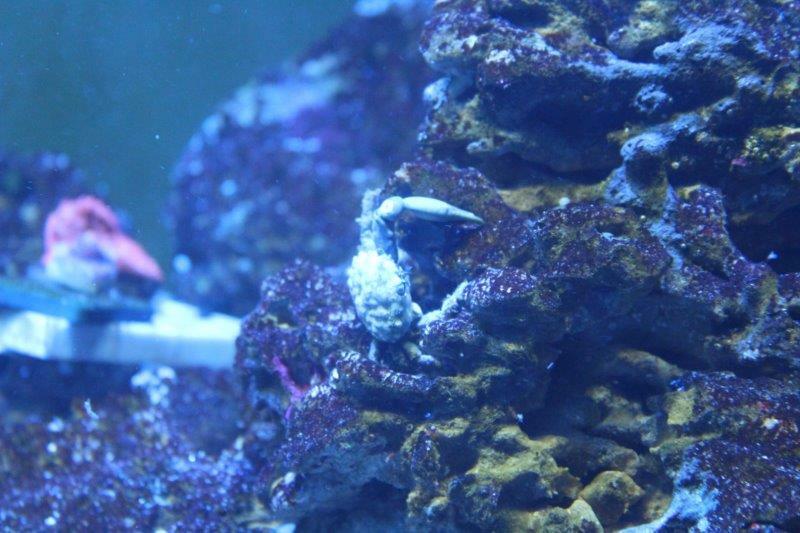 Emerald Crabs make a nice addition to a saltwater tank. You should avoid placing them in predatory FOWLR setups as most fish you would keep in these will eat the crabs. 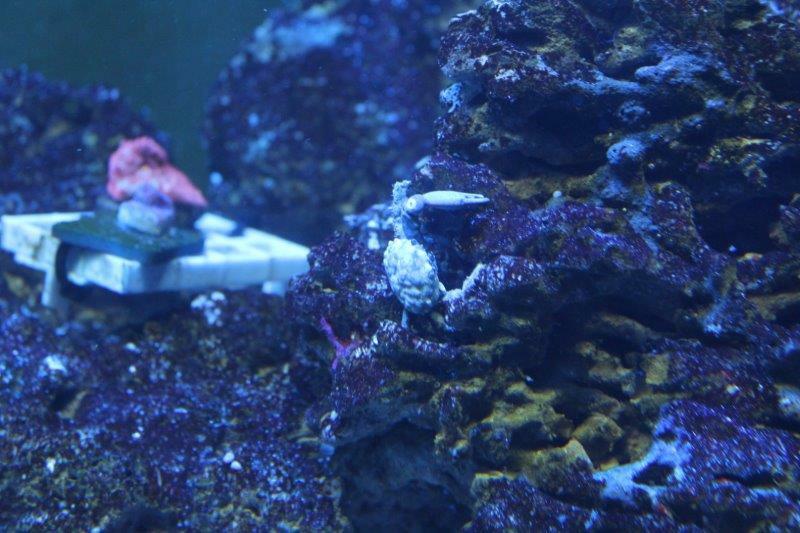 Also keep an eye on them around your corals just like people different crabs have different personalities and some will nip at small polyps like Zoas while others will leave them alone entirely. I love watching mine scurry around the tank digging in the cracks and crevices for bits of food. What is your experience with this crab? Let me know in the comments below.